I love bulk bin buying, it’s more cost effective and I can get as much (or as little) as I want. Now that Fresh Choice Nelson has set up its organic bulk bins, it’s a one stop shop! Over the next few months I’ll be sharing some of my favourite items from bulk bin buying; along with a few recipes to try. This week I’ve been making delicious fruit compote for breakfast, it’s easily adaptable so you can use your favourite dried fruits. When bulk bin buying, you’ll notice a lot of the fruit is darker in colour. This is because sulphites aren’t used to preserve them, so they have a more natural dried fruit colour. This compote is wonderful over waffles, pancakes and porridge or spooned over cereal. It will keep in your fridge for up to 5 days. If you want more, just double the recipe or add extra of your favourite fruits. Serves 2-3 sides. Prep time 5 mins, soak time overnight. All ingredients from the organic bulk bins. Place all the ingredients into a small bowl, cover with water until the fruit is just covered. Place in the fridge for at least ten hours, or overnight. The fruit will soak up lots of the liquid and leave a nice sweet syrup as well. Spoon over your breakfast and top with coconut chips. Making school lunches child’s play! With the kids back at school, and the Nelson summer holidays now just a memory, it can mean only one thing… School lunches. 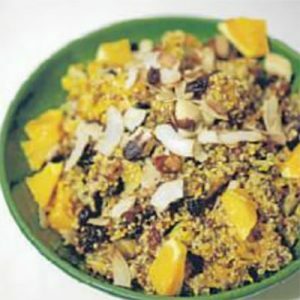 It can be hard to come up with things that the kids will want to eat, and that won’t come back in the lunch box, but are still nutritionally beneficial and wholesome. Dates are a good source of protein, fibre, magnesium and zinc, along with other important trace elements, but not everybody is a fan of dates in their natural state. 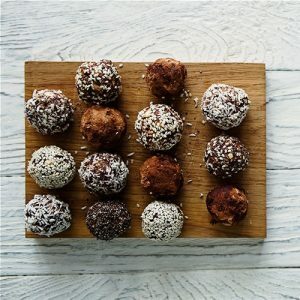 Energy balls are a great way to incorporate dates with other delicious ingredients; all packaged into a truffle like treat, that is full of goodness to fill hungry tummies of all ages. All sorts of other ingredients can be used to flavour energy balls, if you’re feeling a little naughty add some dark chocolate too. Don’t forget to check out the bulk bin buys at Fresh Choice, Nelson for your ingredients! These two recipes are perfect for school lunches. Add the apricots, coconut, dates, lemon zest and cinnamon, and pulse until the mixture forms a ball and sticks to itself. Keep stored in an airtight container in the fridge for up to 1 week. Add to school lunches as necessary! Pulse dates in a food processor until it forms a ball. Add oats, chocolate, chia seeds and peanut butter, then pulse or mix until just combined. Roll into golf ball sized rounds, using the warmth of your hands to mould them together. To set, pop in the fridge or freezer for 15 minutes. Keep stored in an airtight container in the fridge for up to 1 week. Add to school lunches as necessary! Thanks to local chef and guest Blogger, Grant Dicker, for this article. The summer holidays are here, and we wouldn’t mind betting that you’ll be visiting one of our fantastic Nelson beaches sometime soon. 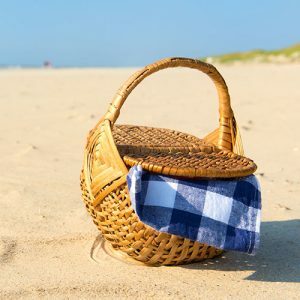 There’s no doubt that a few hours of swimming, sandcastle building and fun shenanigans will get you in the moods for snacking, so here are our top ten foods to pack for a fun day at Nelson beaches. 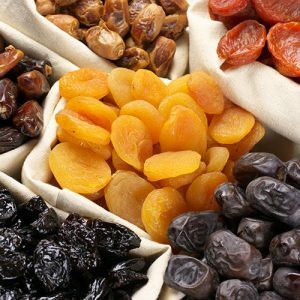 Trail Mix – Check out our bulk bin buys for great ingredients to mix your own. This power snack will top up the energy levels of even the busiest little fishes! Proper Crisps – Want some proper fun? Then pack the Proper Crisps! Full of the good stuff these award-winning local crisps are best sellers at Fresh Choice Nelson. If you haven’t tried them yet, you’re missing out! What are you waiting for? A sandwich – All great sandwiches start with great bread. Rodrigo Sourdough Bread range is a new in store and very welcome addition to our local supplier network. Gluten free, no problem… Dovedale bread is a market leader in the baking of gluten free organic breads with no added yeast. Pic’s peanut butter – Fill your sandwiches with this protein packed delight, or just throw a few Pic’s Peanut Butter Slugs in your beach bag for a tasty protein top up. Fresh fruit – Check out our produce aisle for the crispiest local apples, tastiest fair trade bananas and buckets of juicy local berries to make your heart sing! Fresh veggies – Slice up celery, carrots, cucumber and capsicum add a pot of hummus and you have yourself a savoury snack to share… No double dipping! Snacking bars and slabs – Our shelves are stacked with healthy snacking treats, or make your own… Check out this recipe from the blog archives… Maddy Bellcroft’s Sesame Honey Slice. Don’t forget the drinks – Pack plenty of water, but throw some Pete’s Natural Lemonade or Chia in your cooler for liquid refreshment! Sausages – Don’t forget that many of our Nelson beaches have barbecue facilities, so throw a few sozzies in your cooler for an end of day treat! Don’t forget to stop by Fresh Choice Nelson on your way home, you’ll be exhausted from your fun filled day, so let us help you out with supper… Pick up an Inspire Meal Bag! Welcome back to our Guest Blogger, Maddy Bellcroft; this week Maddy has an article about her favourite choices from the organic bulk bin buys at Fresh Choice Nelson! – Find Maddy on Facebook. You may have noticed a few changes around the bulk bin area at Fresh Choice Nelson recently. More space has been opened up to add over 25 new organic bulk bin items. I have helped to hand pick these fantastic products direct from suppliers such as Ceres and Chantal. Because some of the products may be new to you we have placed info panels in store with a few tips on how to include them in your cooking. Coconut chips – Stir these through smoothies, lightly toast in a pan and sprinkle over cakes, mix into muesli. Mung beans – Soak and slow cook in your favourite curry, sprout for a crunchy salad topping or sandwich filler. 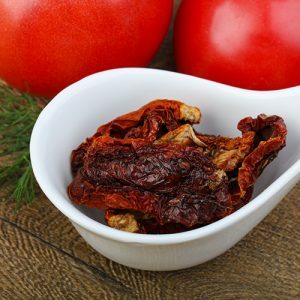 Sundried tomatoes – A fantastic flavour without all the oil, soak in boiling water for 10 minutes to rehydrate, make into pesto and add to wraps, pizzas and pasta sauces. Whole dried bananas – A treat for lunch boxes, slice and add into muesli bars or muffins, or dip in chocolate. Green split peas – Make fantastic green pea soup, or use as a yummy thickener in a curry. Cook until soft and mash with avocado, lime and salt for a delish dip. Buckwheat flour – Perfect for pancakes, you can mix it with water to create a simple batter. Great addition to gluten free bread or baking. Golden flaxseed – Blend and add to porridge or smoothies, high in omegas, can also be used as an egg replacement in baking. Inca berries – Super tart, these are wonderful dipped in chocolate. Soak in boiling water for five minutes before adding to a curry for a lovely sour flavour. The beauty of bulk bin buying is that you can experiment with as much (or as little) of each ingredient as you like. The products above are only a small selection of the great new organic range, so make sure you check out the full range at Fresh Choice Nelson next time you are in store.